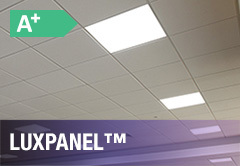 A wide selection of flat panels that can be recessed, suspended or surface mounted. 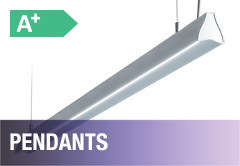 Pendants create a gentle light, bringing a bright atmosphere to any environment. 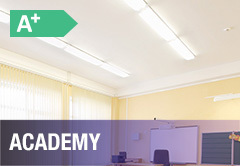 LED alternatives to traditional linear fluorescent fixtures, designed fo use in classroom environments. 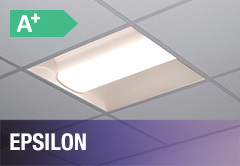 Direct / Indirect recessed luminaire designed for office and classroom environments.